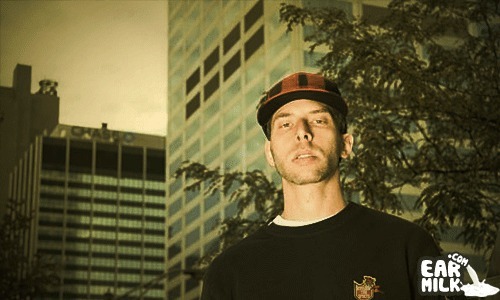 As he prepares to drop his new LP later this year, emcee and producer Parallax teams up with LA hip-hop veteran Rakaa Iriscience ( of Dilated Peoples fame) on the smooth record titled "Round and Round". The ever busy emcee Parallax shows us how he gets down from penning raps to international tours on the song. Over the smooth track produced by Roeg du casq, he brings his unique mellow flow alongside Rakka who also comes through with his own perspective to complete the song. It has that vintage sound that matches Europe meets America premise showcasing different styles but still maintaining the true school motives. The video takes place both in London and LA and exudes nothing but summer vibes, real lyrics which encapsulate a dope bridge between cultures in this modern hip-hop banger. "Round & Round" is off Parallax's forthcoming LP which will see the light of day later on this year. Parallax has toured over Europe and Asia and also been booked to support many big names such as GZA, Lord finesse, Dead Prez, Tha Dogg Pound and more.